To register for our Automation seminar click here. Futura Automation is evaluating a new idea for a service offering that addresses the need and will provide Automation Services on Demand™ ASoD™ bringing Industrial Internet of Things (IIoT) benefits to small to medium size enterprises (SMEs). fewer quality problems lead to less material waste, lower personnel and operating costs. the speed and ability to handle a high product mix seamlessly will also lower changeover costs. ASoD provides the path to realization of this first benefit. Reduction of maintenance cost for plant equipment is highly attractive to manufacturers. Equally important is a rapid response to equipment problems via virtual repair services, conducted via the Cloud. The ASoD concept is relatively simple. 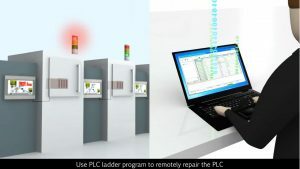 For a fixed annual fee, a customer will be supplied with an ASoD™ Edge device to connect the factory control equipment to the Cloud. A good choice for ASoD™ is Weintek cMT-G01 or -02 (wifi) device internet gateway (https://www.youtube.com/watch?v=QOfmRBoZt-U). A on-time lease fee of $500 could be assessed to offset the equipment cost. It can be shipped Next Day and easily connected to the equipment by any technician. 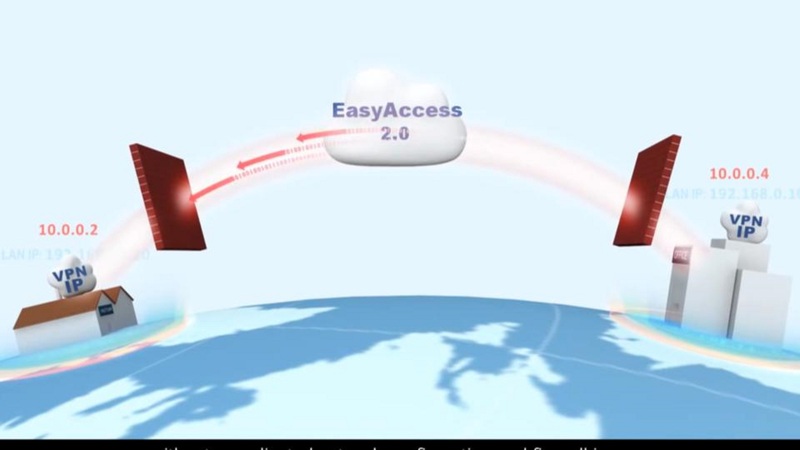 For the fee, the customer receives the network gateway plus one hour of technical support on any connected devices. This could be for tuning, re-programming or commissioning of new machines. Additional hours during the contract year on each gateway are billed at a negotiated rate. Video stream feed (iPhone?) 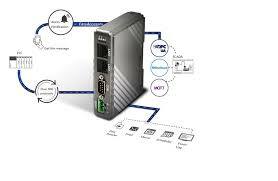 is another option over the -G01 or -G02 for better troubleshooting by the remote technician. Alternately, the manufacturer can install fixed web-enabled cameras that can also stream the machine video to the remote technician. To order and implement Industry 4.0 compliant machine maintenance, a web page / site will offer a pull down menu of all brands and models of controllers supported by the ASoD™ Edge device which is over 350 devices for Futura Automation / Weintek and also includes CoDeSys controls language. All major brands of Siemens, Rockwell Automation, Fanuc, Modicon, Schneider, ABB, Mitsubishi, Opto 22, Texas Instruments and others with vintages back to 1990 are supported. Each brand/model will be associated with a list of contract engineers who have self-certified on those particular controllers and who provide a resume’ of their personal expertise and experience. Each technician or engineer will be able to set their own billing rate in 15 minute increments. $100 / hour will bill at $25 per 15 mins. More unique or complex controllers will carry a higher billing rate. It will be possible to contract with a remote technician or engineer to solve any controller problem within a factory. Engineers and technicians will be able to log in to availability or out, based on their personal workload. The customer will order the services desired in writing or by phone discussion with the selected engineer and will pay by Visa or MC. The engineer selected by the customer to execute ASoD™ will receive a text notification of a project, will contact the customer directly to determine the project requirements, will estimate the time required by return notification or login to the service site and will log in again when work is started. When the work is completed or the estimated time limit is reached the engineer will log out of the project. If more time is required the customer and engineer will discuss by email or by voice over phone. Once the ASoD™ equipment is working as designed and committed, the customer will be billed by credit card and the engineer will immediately be paid by Paypal for the time logged. ASoD™ is the future of factory maintenance. Once factories become “lights-out” facilities and totally autonomous, human technicians and engineers will still be required to do fundamental machine and controls design, provide upgrades and maintain systems that fail. Machines will grow increasingly intelligent with the application of AI concepts. But human intelligence will still be required for the foreseeable future. Futura Automation, LLC "Mission is to return Manufacturing in the American west to global leadership through advanced automation and robotic solutions"